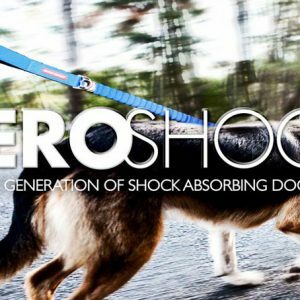 EzyDog Zero Shock leads do exactly what they say – absorb shock if your dog pulls unexpectedly, saving your arms and shoulders from painful jolts, drastically reducing strain and pull on both dog and owner. 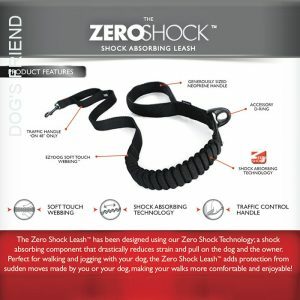 We have been offering these brilliant shock absorbing leads in our physical Happy Dogs shop for 6 months and they fast became a bestseller. EzyDog Zero Shock leads are available in 2 lengths, 25″ for bigger dogs and 48″ for medium and small dogs. The 25″ has been very popular for it’s length, strength and good features – it is not easy to find a good short lead. 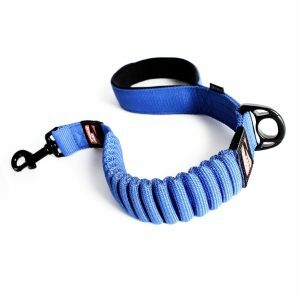 The 48″ has a handle at the bottom though which doubles up as a traffic lead, giving the best of both options when it comes to length flexibility. D ring for accessories (poo bags, folding water bowl etc..